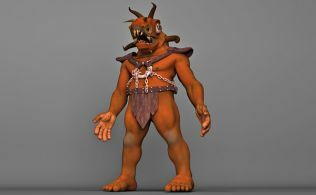 Motion capture is a technique to create natural and real human motions for character animation in 3d software. Motion capture is also used in biomedical research, analysis in sports, gaming and Characters in 3d animated films. The motion capture data from the capturing device is not perfect, so the animation will not be accurate and requires a lot of manual processing of the data. Animating 3d characters with real human like motion is not an easy task, though manual key-framing plays an important role in animation, motion capture is needed when complexity increases and realism is expected. Motion capture is done by tracking the performer in real-time through sensors and converting every position of the sensors in 3d space to a usable data in 3d applications. Though many techniques like electro mechanical trackers, electromagnetic systems and video based optical systems are used to capture motion, this technology is till in early stages of development. But the most reliable solution is marker based system like Vicon and Motion analysis, which can capture with an accuracy of few millimeters. This has encouraged many areas of remarkable work like blending, motion warping, mapping, synthesizing, re-targeting, noise filtering and motion representation. Though motion capture is applied for the whole character, it can also be used for face rigging and animation for 3d characters. The emotion, style and expressions of a character can be improved by facial animation. For example the bones required for the face of a character can be created with Bone system in 3ds max. 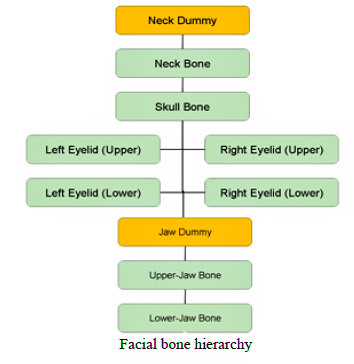 You can take look at the basic facial bone hierarchy. Importing BVH motion capture formats in 3ds max. Most widely used motion capture format is bvh, the file format which is stored in plain text and contains position and rotation information of bones. BVH formats generated by different sources use different names for bone hierarchy which becomes incompatible with 3ds max. To overcome this problem a separate file called as character marker file is used, which replaces the incompatible bone names to max compatible names. This character marker will not work with every bvh file because bvh generated from various sources will be different. You can store the marker in a file and save it with .mnm extension and load it as marker file before importing bvh files.